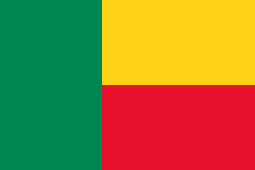 The Ana people, also known as the Atakpame people, are an ethnic group of Benin and Togo. 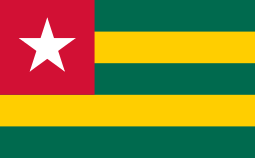 The Ana are concentrated between Atakpame, primarily in the Gnagna and Djama quarters, as well as between Atakpame and Sokode and down to the Togo-Benin border. Ethnologists identify the Ana as the most western of the Yoruba subgroups. In fact, the Ana trace their origins to Ife, and their dialect is also called Ife, which has about 210,000 speakers. ↑ James Stuart Olson (1996). The Peoples of Africa: An Ethnohistorical Dictionary (ABC-Clio ebook). Greenwood Publishing Group. ISBN 9780313279188. ↑ Appiah, Kwame Anthony; Henry Louis Gates, Jr. Africana, (1st ed.). New York: Basic Civitas Books. ISBN 0-465-00071-1. ↑ Toyin Falola; Matt D. Childs (2005). The Yoruba Diaspora in the Atlantic World (Blacks in the Diaspora). Indiana University Press. p. 133. ISBN 9780253003010. ↑ William Russell Bascom (1975). African Dilemma Tales (bascom) World anthropology. Walter de Gruyter. p. 13. ISBN 9789027975096. ISSN 1572-6339. ↑ "In Togo, Atakpame keeps Yoruba language alive". The Punch. December 30, 2015. Retrieved December 30, 2015.